Declan Rice has "sincerely apologised" for posting pro-IRA messages on social media in 2015. 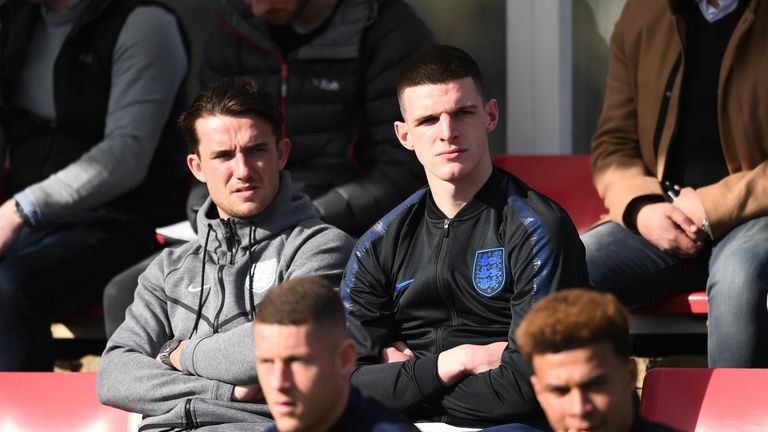 Rice wrote the messages on Instagram, including one to a Republic of Ireland U17 team-mate where he added, "Wait 'till we draw England." He represented Ireland at underage level and made three appearances for the senior side in friendly matches, but last month switched allegiance to England. "I am aware that a poorly-expressed comment I made when I was a junior player has been circulated on social media," said the West Ham midfielder. Rice will face no punishment from the FA but the governing body has written to the 20-year-old to remind him of his responsibilities. Rice could make his England debut in Friday's European Qualifier against the Czech Republic at Wembley.